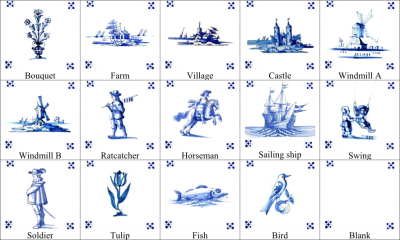 High quality printed 'Delfts Blue' Tiles. 15 different types. Designs from the period 1600-1700. Directly printed on white tiles 2x2. Over 3000x3000 dpi ! Buy all 15 for a special price.